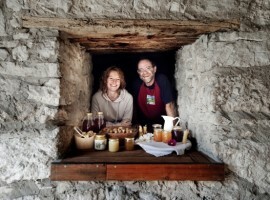 They have small hotels in the middle of endless woods, luxurious accommodation, farm cottages where tables are always full with tasty organic food; they are everywhere, they are in Trentino, Sicily, Tuscany and Marche. They believe strongly in a new way to travel and host, their accommodations are powered 100% by electricity from renewable sources, they have solar panels for hot water, they recover rainwater. They have all 10 the main environmental requirements listed by Ecobnb. They believe in a more sustainable world and are committed every day to make it happen: they are our heroes! 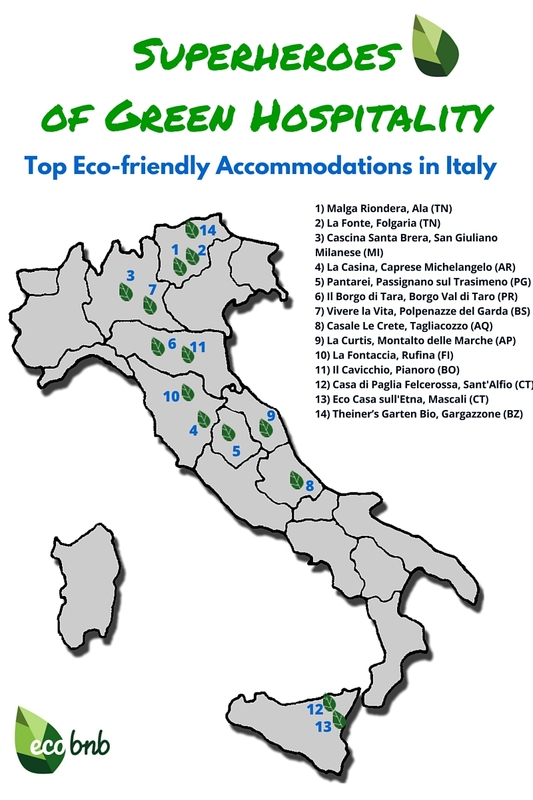 Here are fourteen Italian accommodations that meet all our 10 requirements and offer a 100% sustainable hospitality! 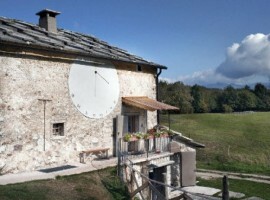 A Bio Agritourism located in an ancient and traditional house with a typical roof made of stone and a big sundial painted on the main facade, and surrounded by the pristine forests of the Natural Park of Lessinia: this is the Malga Riondera. The property has three rustic apartments, with kitchens where you can cook on your own, each with one or two large double bedrooms with loft. Why it’s green: Since the principles of bio-architecture have been followed for the restoration, the building is completely sustainable. Moreover, there are motion sensors for the lights, high efficiency hot water heater and eco-friendly varnish that allow greater energy savings. Why we like it: for its location, perfect for walks in the surrounding mountains and pine forests; for its typical stube where you can eat in group and attend several activities. 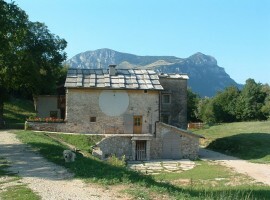 Do you want an apartment in this wonderful holiday home? Click here! 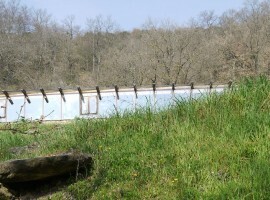 Three solar thermal buildings with photovoltaic panels in a mountain forest, near a creek. Why it’s green: For the renovation made with natural materials, for the organic products produced on site, for the phytopurification and the use of recycled paper. Why we like it: For its terraces where great organic vegetables and fruits are grown, for educational activities and meetings of nutrition education. 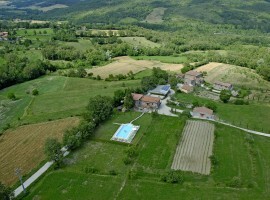 Book now your holiday in the farm La Fonte! 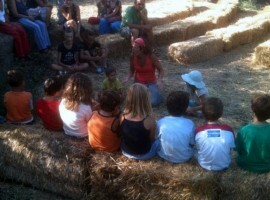 A few kilometers from Milan, there is a farm that seems enchanted. Forty beds, a farmhouse restaurant, an oven to bake bread and the great outdoors will welcome you for an unforgettable vacation. Why it is green: The sustainability of the farm is certified by the brand WWF and the Environmental Quality Label Milan South Agricultural Park. 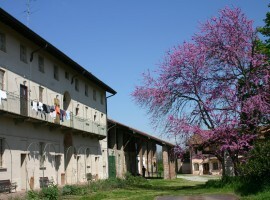 The certification rewards the commitment of the farmhouse, which sharply reduces its environmental impact thanks to the production of hot water with solar panels, to wood heating derived from tree crops, to a restoration with green building techniques and to the use of natural materials in the furnishings. 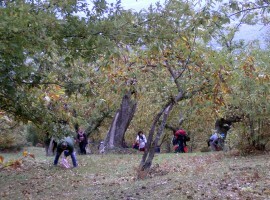 Why we like it: for the courses and activities to learn about permaculture, for the opportunity to participate in the agricultural life. 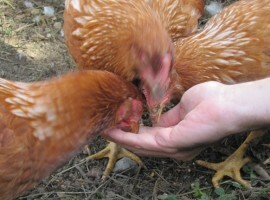 Because the chickens live free, because a forest of 12,000 trees was planted in the area to heat the entire complex and have hot water. A farmhouse in the heart of the Toberina Valley: between beautiful forests of beech and chestnut there’s a beautiful stone farmhouse. Each apartment has its indipendent entrance, bathroom and heating. The building has a large outdoor area with swimming pool and solarium. 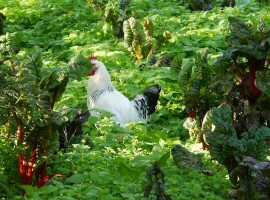 Why it’s green: For his organic garden that allows the creation of delicious dishes and for the bike rental service. Why we like it: it is situated in the village where Michelangelo Buonarroti was born, because October and November you can dine in the surrounding wood, because it is perfect for a holiday of relax and culture. 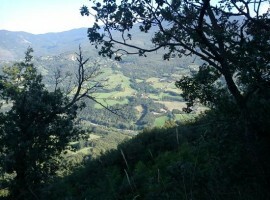 We are in the middle of wilderness, in the heart of Umbria. 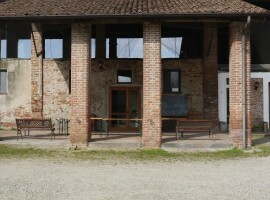 4000 hectares of land and, in the center, one of the first buildings in mudbrick ever built in Italy. Why it’s green: because the buildings have been renovated through a project of bioarchitecture, because the drains are purified through one of the first phytopurification systems in Italy: the water is then reused for flushing toilets, saving up to 50% of potable water. Why we like it: for its particular building, made of chestnut poles, straw and clay, because it is not only an eco-friendly accommodation but also a laboratory and a research center. For a special holiday, book here! 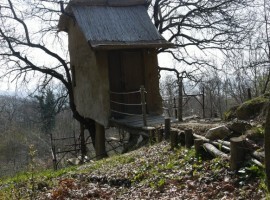 In the Apennines of Parma there’s an ancient rural building, recovered according to the criteria of bio-architecture. 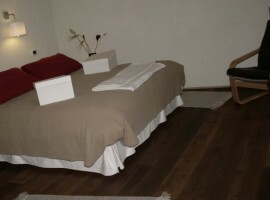 Guests can choose between three cozy rooms with natural floors of either stone or solid oak, natural latex mattresses and wi-fi. 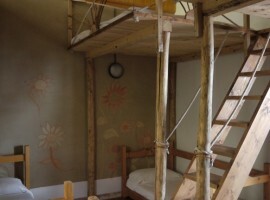 The rooms have been recently made-over according to the philosophy and “cruelty-free” lifestyle choice of the owners. Why it’s green: The solar panels and radiant heating system produces hot water and heats the rooms with the energy of the sun. Photovoltaic solar panels produce 100% renewable electricity. Why we like it: Because of its excellent breakfast with delicious jams and teas, and because we are in the home of the porcino mushroom. You want to book a room in this beautiful farm? Click here! 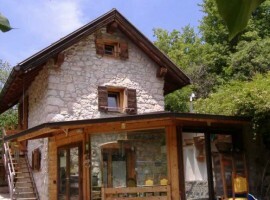 On the beautiful banks of Lake Garda, there is a new house made of wood. It offers a breakfast room and three comfortable double bedrooms furnished according to the philosophy of Feng Shui, in which you’ll find sheets and towels in soft organic cotton. Why it’s green: For its wooden bioclimatic building. For the cleaning products used that are eco-friendly, biodegradable and not tested on animals. Why we like it: because of the fantastic view of the lake, for a delicious breakfast, and for the holistic Centre of Physiotherapy where you can be pampered and regenerated. Looking for a relaxing and healthy holiday? 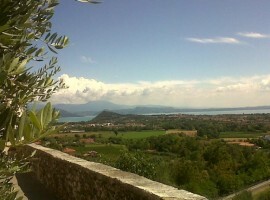 Book the B&B Vivere la vita! An old house in wood and stone nestled among the vines at 760 meters above sea level. All around, nature and mountains. 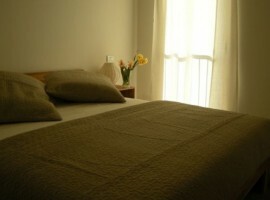 Four beautiful rooms to choose from, all with private bath, futon mattresses, Wi-Fi, and a beautiful garden. Why it’s green: the rooms decorated with natural materials, for the restoration made with wood and stone, for water savings. Why we like it: for the beautiful labyrinth of rocks in the garden, because it is the ideal starting point for naturalist and archaeological itineraries. Want to book a room? Click here! 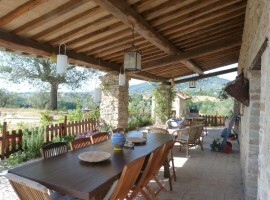 A farmhouse in the heart of the Marche, in the green nature, surrounded by vineyards and an orchard of 3 hectares. Guests can choose from several apartments and they can enjoy a large swimming pool, a beautiful library, a wine cellar where they can taste wine, oil and preserves. Why it’s green: the old house has been restored following the principles of bio-architecture and furnished with natural materials. To ensure respect for the environment and the welfare of guests, all rooms are soundproof and thermally insulated. The energy necessary to the building is produced by photovoltaic panels placed above the gazebo. The heating and hot water are produced by the combustion of biomass. Why we like it: for the beautiful outside space, for the playground surrounded by nature with a football field and basketball court, from the path that leads directly from the farm to a river beach. 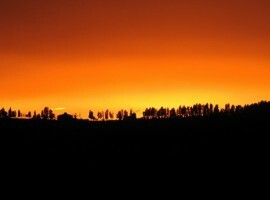 You want to discover the region of Marche? 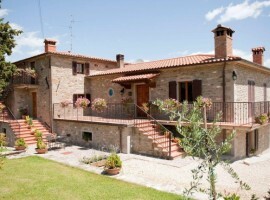 Book in this Farmhouse! 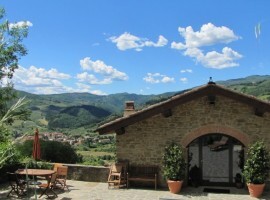 An organic farm nestled in the hills of Chianti Rufina, near Florence. Guests can choose from 3 rooms and 2 apartments, all furnished with care, reusing antique furniture and typical items of the rural culture of Tuscany. Why it’s green: because the farmhouse has been restored according to the criteria of bio-architecture, because of the elimination of single doses and energy-class-A appliances. Why we like it: for the herb garden, the lounge with thermo-fireplace, for the excellent extra virgin olive oil produced on site. Ready for a holiday to discover Florence and Tuscany? 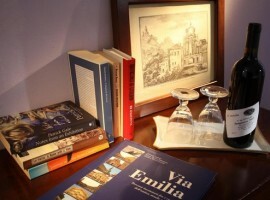 Book a room in La Fontaccia! 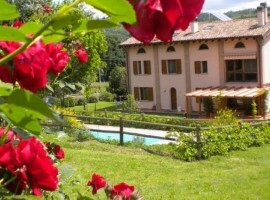 On the hills 15 minutes away from Bologna there’s a big house with a swimming pool: il Cavicchio. The owners Federico and Raffaella have made eco-sustainability the key point of their hospitality. Why it’s green: at Il Cavicchio, everything is sustainable: from recycled paper to recovery of water, from electricity to bio-architecture, from bike rental service to organic products for breakfast. 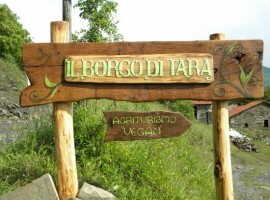 Why we like it: for its location: close to Bologna, but surrounded by greenery. 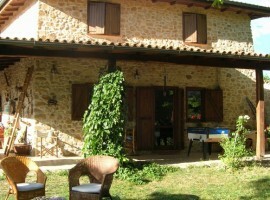 Book a room now for this wonderful farmhouse! 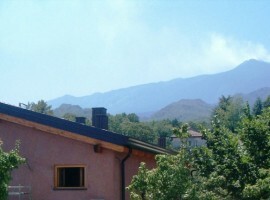 On the Eastern slope of Mount Etna you’ll find a lovely family-run farmhouse. The main house is made of bales of straw weaved on a wooden structure, built entirely according to the principles of bio-architecture. 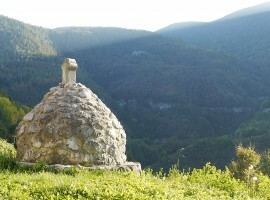 In the grounds there are two small independent lava stone buildings renovated with natural materials. The outdoor area includes a children’s playground built mostly with recycled materials and a small basketball court. 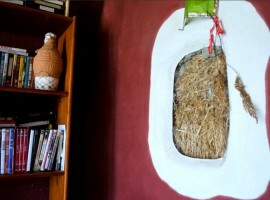 Why it’s green: the house is built completely with the criteria of bio-architecture: wood and straw bale infill. Internal plasters are made of clay, the varnishes are natural. Why we like it: for the synergic vegetable garden, for the wine produced on site, for the cultural events organized in the small theater. 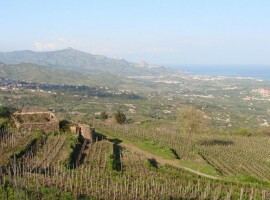 Book now for a special holiday in Sicily! At the foot of Mount Etna there’s another superhero: among citrus orchards and trees there’s an old farmhouse with two cozy apartments. Why it’s green: The renovation of the buildings, which have been uninhabited for over 30 years, was made following the principles of bio-architecture. Much attention has been given to water: the owners created a phytopurification system and a bio-lake, as well as installing a rainwater harvest system. All buildings are equipped with photovoltaic panels and are solar thermal. 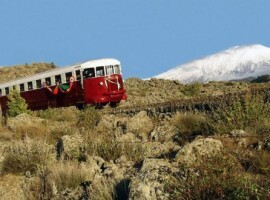 Why we like: because the Circumetnea, the railway that runs around the volcano, stops right in front of it; for the possibility of taking part in agricultural activities and in the several seminars hosted there. You like volcanos? 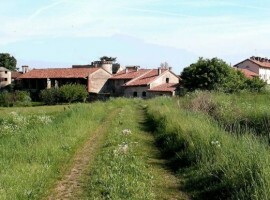 Discover the Mount Etna sleeping in this beautiful farmhouse! 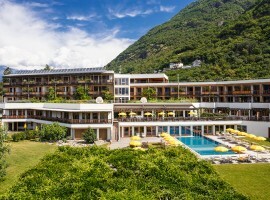 Near Merano there’s a luxury hotel where a warm welcome will make you feel at home. A wonderful spa and beautiful rooms decorated with solid wood furniture will allow you to spend a relaxing holiday among nature. Why it’s green: because it’s a completely new hotel made of solid wood according to the principles of bio-architecture, and the land is cultivated exclusively according to the criteria of organic farming. Why we like it: for exquisite organic food, the family atmosphere, the spa. 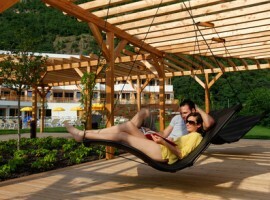 You want luxury, relax and nature? 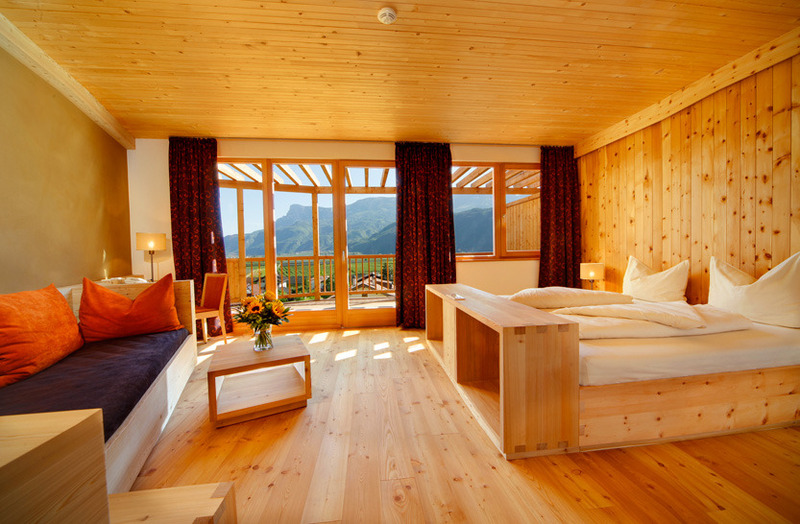 You find all of that in this beautiful hotel in Alto Adige! All these wonderful accommodations are the outcome of the work of our Superheroes, committed to making the world a better place, day after day. This entry was posted in green hotels and tagged Abruzzo, better world, eco hotels, ecology, ecotourism, Emilia Romagna, green-economy, Italy, Lombardy, nature, organic farm, Parma, respect for the environment, responsible tourism, Sicily, sustainable tourism, Trentino Alto Adige, Tuscany. Bookmark the permalink.